As a homeowner in Venice, FL, are you looking for ways that you can improve the quality of your property? There are many options for home renovation projects, but you need to consider aesthetics and functional benefits as well. If you are trying to choose the best investment for your home, then you might consider the option to install replacement windows and doors. 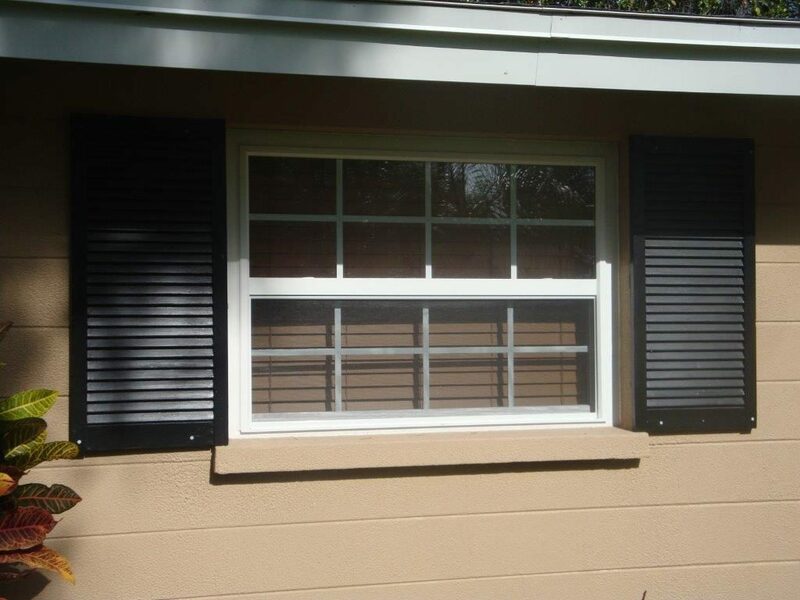 Here at Armored Dade Windows & Shutters, we offer a variety of products to meet your needs. Our team has been serving the area for many years, and we understand the unique requirements that match the climate here in Florida. Our goal is to provide the best products that will protect your home and improve your lifestyle at the same time. Your current doors and windows might seem fine, so why should you spend money on replacements? The truth is that there are often problems that aren’t visible to someone who isn’t familiar with the industry. Instead of waiting for the doors or windows to fail, you need to be proactive to keep your home protected. Protect Your Home During Hurricane Season: When the heavy rains are falling, and the wind is blowing, you need windows that will hold up against the storm. Old windows are weak and leaky, leading to avoidable problems during hurricane season. Get rid of these old windows and upgrade to shatter-resistant glass instead. Then, you can rest assured to know that your home will be protected even in harsh weather conditions. Boost the Energy Efficiency of Your Living Space: Energy efficiency is a hot topic because many people are considering the impact of energy usage on the environment. If you are over-using the air conditioner, then you are polluting the planet with your daily decisions. Instead, install energy efficient products to keep your home sealed and avoid high energy usage. These small changes can go a long way to reduce your carbon footprint. Save Money and Boost Home Value: Improving energy efficiency means that you will notice a reduction in your utility bills. Even though you will spend money on the installation, you can recover a portion of those costs every month because of the decreased utility bills. At the same time, another financial benefit will show up when you are ready to sell your home. The high-quality materials will boost the value of your home and help to maximize your equity. Improve the Appearance Inside and Outside: Curb appeal matters when you are trying to set the right impression for visitors. Whether you are trying to sell or you want to invite family over for dinner, you need to make sure that you upgrade the appearance of your home. New windows offer the perfect way to make your home look great. These renovations will have a positive impact on the internal and external appearance of the property. Add Sunlight without the UV Exposure: The right type of glass can maximize the sunlight coming into your room, helping to brighten your living space. These changes are important to boost your mood and improve the appearance of the room. Talk to us about Low-E coating to bring in the sunlight without the UV exposure. As a result, you can enjoy the sunshine without worrying about the damaging effects of the sun on your furniture and carpet. Decrease the Risk of Theft: New windows and doors offer an excellent solution to improve the security of your home. When potential burglars see that the windows are secure, they will move on to find other windows with older designs. When it comes to theft, burglars are looking for easy targets with old windows and doors. There are many other benefits that you will enjoy when you choose to upgrade the windows in your home. If you want to share these benefits with your family, then you need to talk to our team to learn more about the installation options that are available. Here at Armored Dade Windows & Shutters, we are focused on providing the best services to our customers in Venice, FL, and the nearby cities. When you contact our team, you can rest assured that you can learn more about the products without being rushed into the sale. We will answer your questions and provide information, and then give you the time that you need to decide.